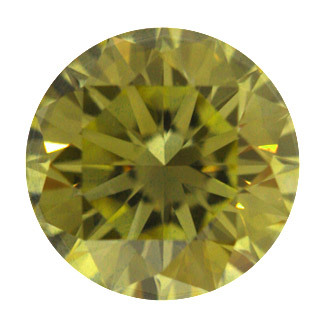 This fancy brownish yellow diamond measures 5.76-5.79x3.54 with good polish and as a round diamond it has very good symmetry. VS 1 clarity makes it a beautiful gem to mount in a ring. The 0.73 carat weight is ideal for a fancy colored diamond ring. It is also certified by the GIA.